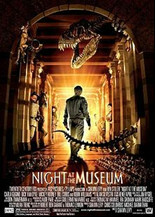 Ben Stiller’s success with his Night at the Museum movie reminds us through fiction that a surprisingly fun time can be had at certain museums. For fathers and daughters, there’s a wider range of museums than many people realize, where your mind and imagination are able to romp free, exploring fun, sometimes unusual or forgotten subjects. From the Museum of Crime and Punishment to Body Worlds to the NASCAR and Rock & Roll Halls of Fame and more, these are no longer simply displays of art. 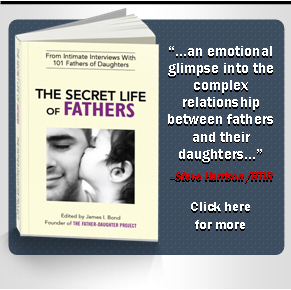 Many capture the heart and soul of our culture and interests in a way that could be great fun for a dad and daughter of any age to share together. For a younger daughter, you might consider visiting a different museum or exhibit every month with your dad or daughter. Also, check for local museums, galleries and exhibits. Oftentimes tourists get to see much of the fun sights that locals don’t even realize are available. Here are a few museums that may be interesting. 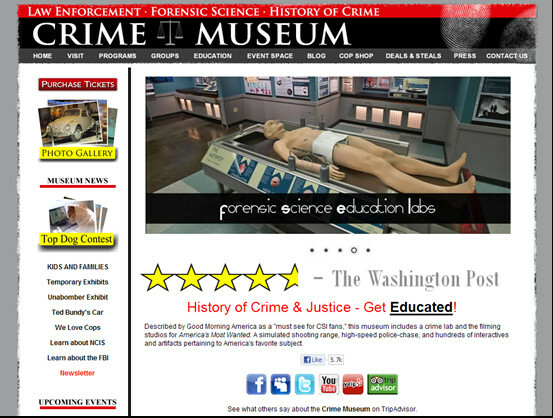 Located in downtown Washington D.C., the National Museum of Crime and Punishment provides guests of all ages with a memorable insight into crime, crime fighting, and the consequences of committing a crime in America through a captivating interactive, entertaining and educational experience. This incredible museum is also home to the filming studios of America’s Most Wanted. The museum includes exciting interactive exhibits and events, including the Top Detective Challenge, Public Forensics Workshops and more. For more information, visit www.crimemuseum.org. This traveling exhibit is truly amazing and mind blowing. If it comes to a city near you, or if you have the opportunity to travel to see it, this is definitely the kind of experience you’ll want to share. 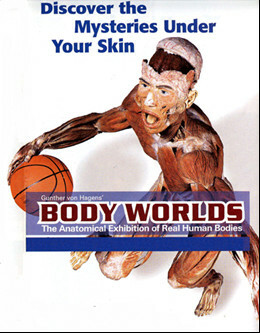 BODY WORLDS is the original anatomical exhibition series displaying authentic human bodies, willed by donors through the Institute for Plastination’s Body Donor Program, and preserved using a process called plastination. Invented by Dr. von Hagens, plastination is a groundbreaking process in which real human specimens are preserved through the science of plastination. Plastinates show the inner workings of the human body in real-life poses, like never seen before. As this is a traveling and ever-changing exhibit, you’ll need to check their website for locations. Charlotte, North Carolina is home to the NASCAR Hall of Fame – a state-of-the-art facility that honors NASCAR icons and creates an enduring tribute to the drivers, crew members, team owners and others that have impacted the sport in the past, present and future. 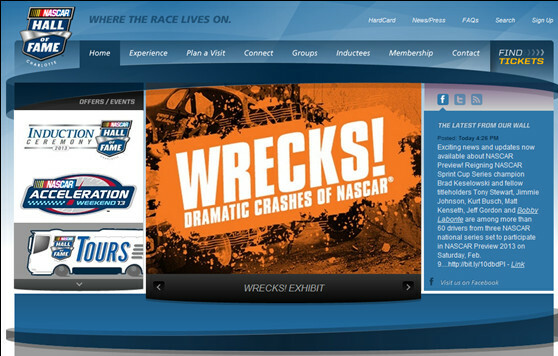 Besides taking you on a walk through the history of the sport, the NASCAR Hall of Fame includes highly interactive exhibits, putting you on the pit lines and behind the wheel in incredible state-of-the-art simulators, and more. The Rock and Roll Hall of Fame and Museum opened its doors in 1995 on the shores of Lake Erie in downtown Cleveland, Ohio. 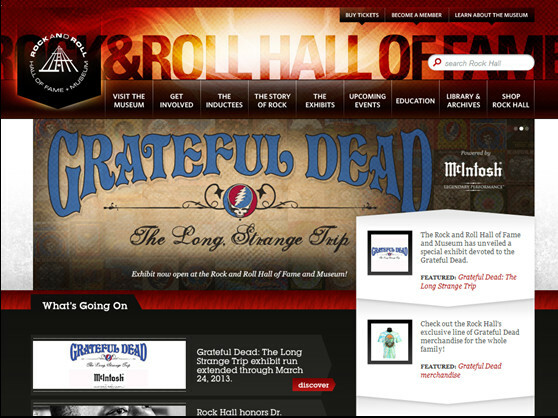 Dedicated to educating and inspiring visitors, fans and scholars from around the world about the history and continuing significance of rock and roll music, this mega-exhibit delivers on its promise. With world-class exhibits that interpret and honor your favorite artists, through its library and archives as well as its educational programs, any fan of rock & roll will delight in this walk through history of the world’s most influential music form. 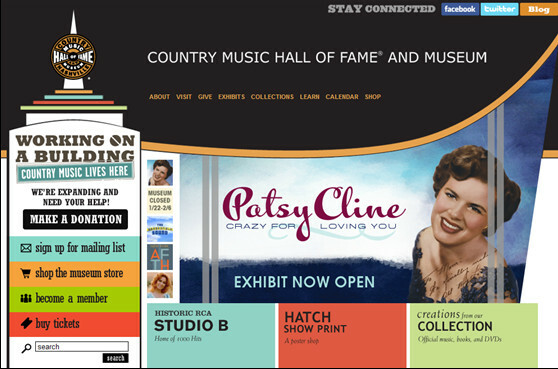 The Country Music Hall of Fame® and Museum, in Nashville, Tennessee has been the home of America’s music since 1967. In keeping with the cultural significance of the music and the heroic achievements of those who form its membership, the Museum opened in a $37 million landmark, new building in May 2001. Located on the west bank of the Cumberland River, just a few steps from the historic Ryman Auditorium and the honky-tonks of Lower Broadway, the monumental edifice, a visceral experience for approaching visitors, invigorates the skyline in downtown Nashville’s entertainment district. Inside, the Museum presents the crown jewels of its vast collection to illustrate country music’s story as told through the turns of two centuries. A treasure trove of historic country video clips and recorded music, dynamic exhibits and state-of-the-art design, regular menu of live performances and public programs, Museum Store, on-site dining, and fabulous public spaces all contribute to an unforgettable museum experience. The Country Music Hall of Fame® and Museum is accredited by the American Association of Museums, certifying that the Museum operates according to the highest standards, manages its collection, and provides quality service to the public. Of the 8,000 museums nationwide, only some 750 are accredited. 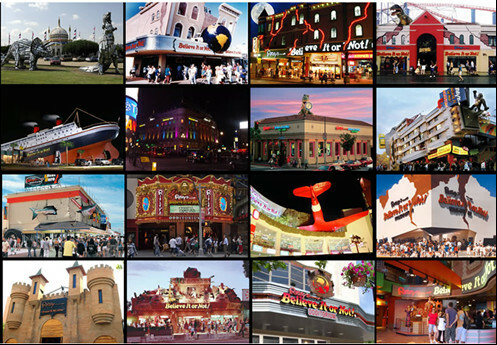 Ripley’s has more than 90 amazing attractions in major cities across America and in 10 countries around the world. 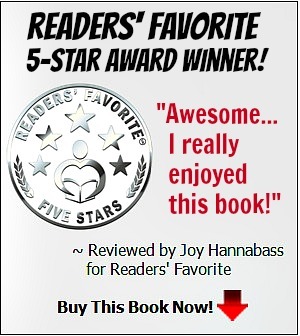 Even though most people know about their bestselling books, live-action network television series and the classic world famous Believe It or Not! 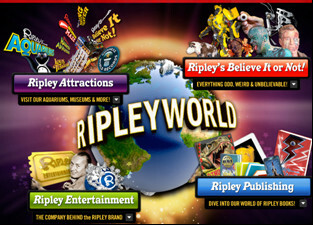 Cartoon, Ripley Entertainment is the #1 small tourist attractions company in the world and is still growing! They operate world-class aquariums, Believe It or Not! museums, 3D Moving Theaters, Haunted Adventures, Mirror Mazes, Guinness World Records Museums, Louis Tussaud’s Wax Museums and so much more! Also remember to check for local museums, galleries and exhibits. 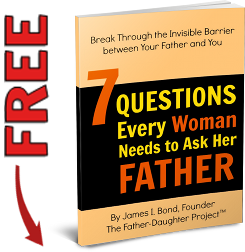 Get on the mailing list of local museums and exhibitors and you’ll gain a continuous supply of fun and memorable opportunities to share with your dad or daughter. If you have any ideas or experiences about visiting a museum, or any other experience with your dad or daughter that might be interesting to other dads and daughters, we’d like to hear about it. Send us a line through our CONTACT US links.